Daryl and Dawn Lund are seen smiling at the Battle 4 Atlantis basketball tournament in 2014. Photo Courtesy of Daryl Lund. With the renovation of the Terrace on the horizon, the opportunity presents itself to reflect on and preserve special memories. The paver campaign is the final public push of fundraising for the Union South building and Memorial Union renovation. Proceeds will directly impact the Memorial Union Reinvestment and help sustain the building and experiences for generations to come. The campaign will end on December 31, 2015 or when the limited number of pavers run out. Eager to share and celebrate the memories and energy of the Union are lifetime members, Daryl and Dawn Lund. On a Sunday in October 1961, the two students met under the arches of Der Rathskellar in Memorial Union. They became fast friends and started going steady in January after the semester break. By July 1962 they were engaged. After falling in love with Dawn and Madison, Daryl continued on at UW-Madison to earn his master’s and Ph.D. The pair remained in Wisconsin for almost 20 years before Daryl accepted a position at Rutgers University and then later joined Cornell University. In 2001, the Lunds returned to Madison and continue to spend a lot of time at the Union where they first met. 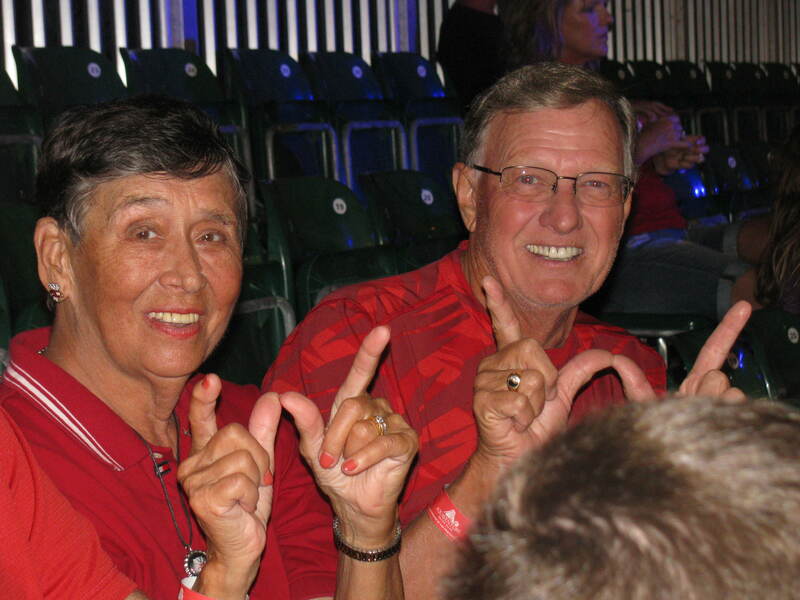 In 2007, Daryl retired from UW-Madison and his retirement party was held at none other than, Memorial Union. The personalized pavers will be located on the Historic Terrace outside Der Rathskeller. Whether alumni, students or community members, everyone is encouraged to participate as this is a unique opportunity to etch memories in brick. Prices of pavers vary by size, the largest being 24” x 24” and the smallest shared paver being 6” x 12”, and can be purchased online. For more information regarding pricing, please visit terracepaver.org. Inscriptions will be confirmed in late 2015 and pavers installed in time for the summer 2016 Terrace season. Inscriptions on pavers can come from anything meaningful to you, whether you are dedicating it to a close friend or sharing a special experience at the Terrace. Daryl and Dawn’s inscription is shared below. What memory will you be sharing on your paver? Share in the comments section below!